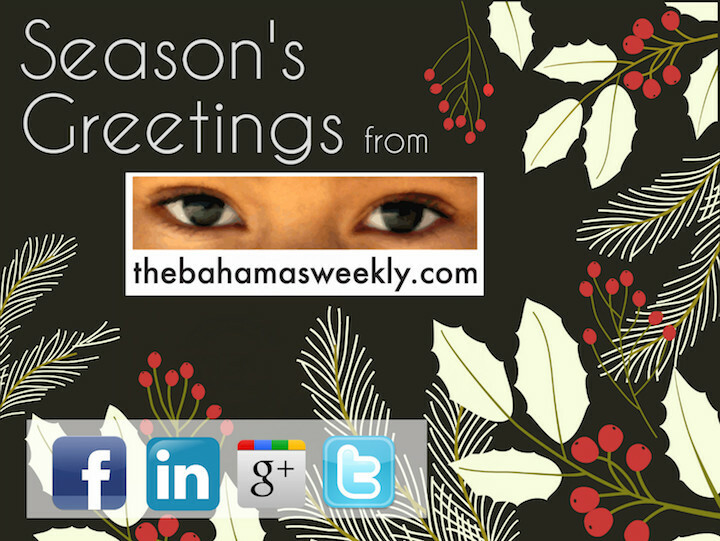 Season's Greetings from TheBahamasWeekly.com from mackeymedia on Vimeo. Season's Greetings! A World of Good Wishes. One of the real joys this Holiday Season is the opportunity to say THANK YOU and wish you the very best for the New Year! Averaging 1 Million Page Views Per Month and Promoting Bahamians Everywhere! From our offices in Grand Bahama and Canada, The Bahamas Weekly provides the planet with constant web updates on the hottest topics in The Bahamas. We keep you updated on News, Entertainment, Sports, Politics, Community & Celebrity sightings! We offer free 'weekly' news updates emailed directly to you each Friday featuring our Top 70 Stories of the Week. Be in the know for all things Bahamian - Subscribe today!